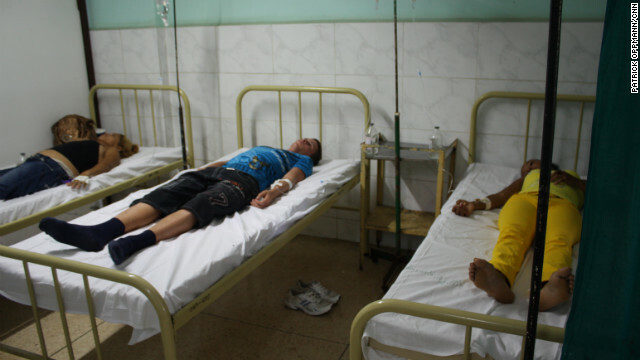 The Cuban government said that the cholera outbreak that erupted in June, killing three and infecting 417, is over, Communist Party daily Granma reported Tuesday. "Ten days have passed since the latest confirmed case, whereby the Public Health Ministry says that this outbreak is over," the newspaper said of the epidemic that originated in Manzanillo, a city of 130,500 residents located some 900 kilometers (560 miles) east of Havana. Authorities also said that there were cases "associated" with the outbreak in other municipalities in surrounding Granma province and in the neighboring provinces of Santiago de Cuba and Guantanamo and even in Havana. "All these later events, characterized as isolated cases, occurred through people who traveled from Manzanillo and were identified by an effective system of epidemiological monitoring and treated with timely measures," the ministry said. Of the 417 registered cholera cases, the majority were adults, the bulletin added, going on to emphasize the "indispensable ... and effective cooperation of the public." After learning of the health emergency, the government decided as a precaution to suspend the traditional summer Carnivals in Manzanillo and Bayamo, another city in Granma province. In addition, the Venezuelan government sent to the island 20 military doctors to provide support. Cuban President Raul Castro spoke out on July 24 to denounce "propagandistic campaigns" regarding the cholera cases designed to "discredit" the island's health care system and asserted that the outbreak was under control. The most recent cholera epidemic in Cuba occurred in 1882 and the latest cases were registered shortly after the downfall of strongman Fulgencio Batista in 1959, according to official information. Despite the fact that it said the outbreak was "concluded," the Cuban government is also saying it will maintain its vigilance to avoid "the recurrence of new cases." In addition, the national government is reiterating its call for the public to take preventive measures concerning personal hygiene, water and food. For several weeks, the authorities have been issuing daily preventive messages along the same lines to avoid the spread of the Aedes aegypti mosquito, which transmits dengue fever, although there have been no reported cases of that disease.